Minneapolis really, really, really, really, REALLY loves two things dearly: Its parks and the arts. So it should come as no surprise that there are plenty of artistic endeavors and other activities happening in Minneapolis parks this summer. First is Ideawerks. Since 2003, the Institute of Production and Recording (IPR) has facilitated a music recording studio in the Powderhorn Recreation Center. The studio has provided a number of neighborhood youth access to equipment so they could learn to produce and record music. Great interest in the program has resulted in a partnership between IPR the Jackie Lee Robinson Foundation, and the Minneapolis Parks and Recreation Board to enhance the studio. Additionally, the Ideawerks program will eventually make recording, production, graphic design and multimedia arts available at more community sites throughout Minneapolis. Second, you don’t need a theater to enjoy theatrical and dance performances in Minneapolis. Many free family-oriented performance are happening in Minneapolis parks this summer, starting with William Shakespeare's The Tempest at Kenwood Park on Friday, June 5. The performances are held outdoors in parks throughout the city, so pack a picnic, bring a blanket, and enjoy the Minnesota summer while taking in a show. Third, spend a warm summer evening together with your friends or family watching a movie on the Big Screen outside. From June through August, any Minneapolis parks will be showing free family-oriented films, ranging from “March of the Penguins” and "Marley and Me" to “Star Trek IV” and “Princess Bride.” Movies start at dusk. Though some parks offer refreshments, you may want to bring some snacks. Don't forget a blanket or lawn chair! Italian Palladianism is a philosophy of design based on the writings and work of Andrea Palladio. Andrea Palladio, born in Italy in 1508, was a Venetian architect. He is widely considered to be one of the most influential architects in the history of Western architecture. He himself was influenced by Roman and Greek design. He started out in life as a stone mason, but he began studying architecture in the 1550s. Powerful friends and associates of his introduced him to Venice, where he became "Proto della Serenissima" (chief architect of the Republic of Venice). It was during this time, and up until his death in 1580, that he developed the style which is now known as Italian Palladianism. In his work, he tried to recreate the style and proportions of the buildings of ancient Rome. His style adhered to classical Roman principles he rediscovered, applied, and explained in his works. His ideas and philosophy were widely imitated throughout Europe, and particularly in 18th century England. His success and influence was a result of the integration of aesthetic appeal with characteristics that resonated with the social aspirations of his clients. His buildings served to visually communicate the client's standing in the social order of their culture. This is the Gold Medal Flour mill in Minneapolis, Minnesota. During 1866, Cadwallader C. Washburn entered the milling business, building a flour mill on the Mississippi River at Saint Anthony Falls. The mill was a 6-story stone structure, with 12 pairs of millstones that had a daily capacity of 840 barrels. Gold Medal received its name on June 8, 1880, when the Washburn Crosby Company won the gold, silver and bronze medals on the three grades of spring wheat processed flour at the first International Millers' Exhibition. After winning the award, Washburn Crosby began using "Gold Medal" as the brand name on the firm's best grade of flour. On Aug. 19, 1880, the first flour was packaged and shipped from Minneapolis under that name. Work at the mill trudged on for years, and Gold Medal Flour made a name for itself as a high quality product. In 1928, under the leadership of James Ford Bell, General Mills, Inc. was formed out of all the mills constructed or purchased by Washburn, Crosby and Company since 1866. Additionally, the Red Star Milling Company of Kansas and Royal Milling Company, Kalispell Flour Mills Company and Rocky Mountain Elevator Company, all of Montana, were combined under the General Mills brand. Gold Medal Flour is still a popular product from the Minnesota company. As we know, General Mills is now is a highly recognizable company name that makes a wide range of products. Gold Medal flour is one of only a handful of U.S. grocery products to retain its status as the top selling flour after more than a century of existence. And it all started right here in Minneapolis, on the banks of the Mississippi River. Neo-Mediterranean is a Neoeclectic style that mixes aspects of Spanish, Italian, Greek, and Moroccan architecture with contemporary North American ideas. Neo-Mediterranean houses are often called Mediterranean or Spanish Style. Some common features of a Neo-Mediterranean house are a low-pitched roof, red roof tiles, stucco siding, arches above doors, windows, or porches, and heavy carved wooden doors. A Neo-Mediterranean home may resemble the Spanish Revival style, but these homes are not recreations of Spanish Colonial architecture per say. If it weren't for the romantic decorative details, a Neo-Mediterranean home would likely to resemble a Ranch Style house or Raised Ranch style home. 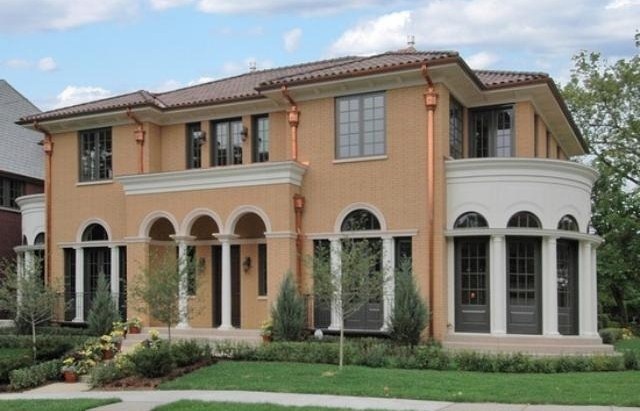 There are prime examples of Neo-Mediterranean style architecture in Twin Cities communities. The Washburn "A" Mill was the second-largest flour mill in Minneapolis, Minnesota. The original mill was built in 1874 by Cadwallader C. Washburn. At the peak of the mill's production, it could grind over 100 boxcars of wheat into almost 2,000,000 pounds of flour per day. Along with the Pillsbury "A" Mill and other flour mills powered by St. Anthony Falls, Washburn "A" Mill the contributed immensely to the development of Minneapolis. It's spring time, I'm pretty sure that most of the frosts have passed (though there was a little on my car at the obscenely early hour of 4:30 AM on Tuesday), and people are getting their Green Thumbs out to spruce up the yard for the selling season. Here are a list of classes being provided by Minneapolis Community Education through the rest of May. If you're a prospective first time home buyer, and you've been reading this blog for a while, you already know about our Minnesota First Time Home Buyer site. 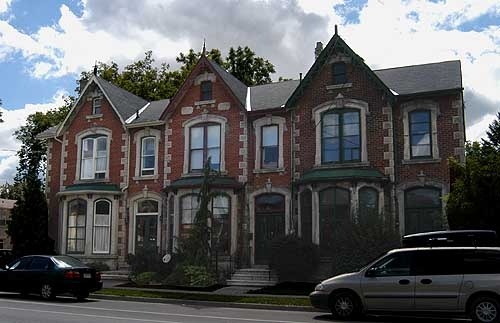 The website has been created to help first time home buyers with their research into purchasing a home. If you aren't aware of it, now you are! Let it be a resource to you if you are buying your first home in the Twin Cities or beyond. But more to the point, this blog post is about a new feature at the Minnesota First Time Home Buyer site: A Forum. The process of purchasing a home may seem overwhelming. There are many sources for first time home buyers to learn from and they all provide different information. The more knowledge you have about the home buying process, the more confident you will be when you venture into the real estate market. But any site can just provide information, sometimes it takes a conversation to really feel like you understand and are understood. That's where our new Minnesota First Time Home Buyer Forum can be of assistance.